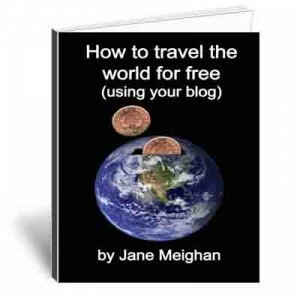 If you’re reading this and looking to make some money to add to your travel funds and you have a travel blog, then I’d like to invite you to become an affiliate for my new book – How to travel the world for free (using your blog). Affiliates receive 50% commission of every sale they make. You can either post a link, a banner (email me for banners), write a review, mention it in a video blog (just be sure to put your affiliate link somewhere people can click), or whatever else you can think of. You’ll receive 50% of every sale that you make, paid via paypal at the end of the following month. Selling books is part of how I make enough money to travel full-time. With your help hopefully we can both make enough to continue our travels indefinitely. To sign up (don’t worry, it doesn’t cost you any money, and only takes up 2 minutes of your time) click here.